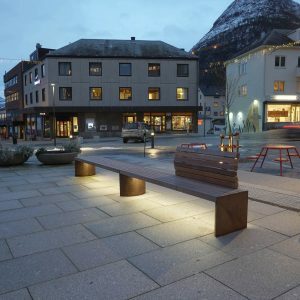 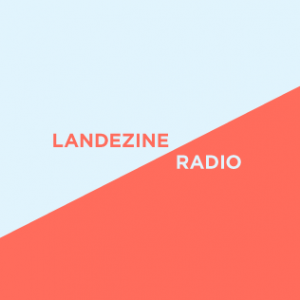 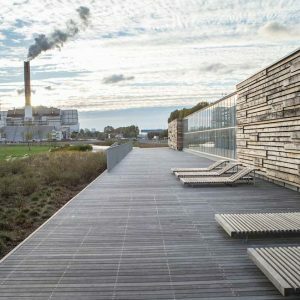 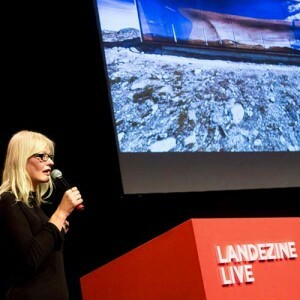 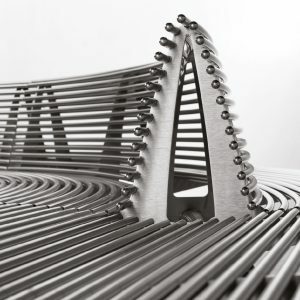 The project won LILA – Landezine International Landscape Award 2017. 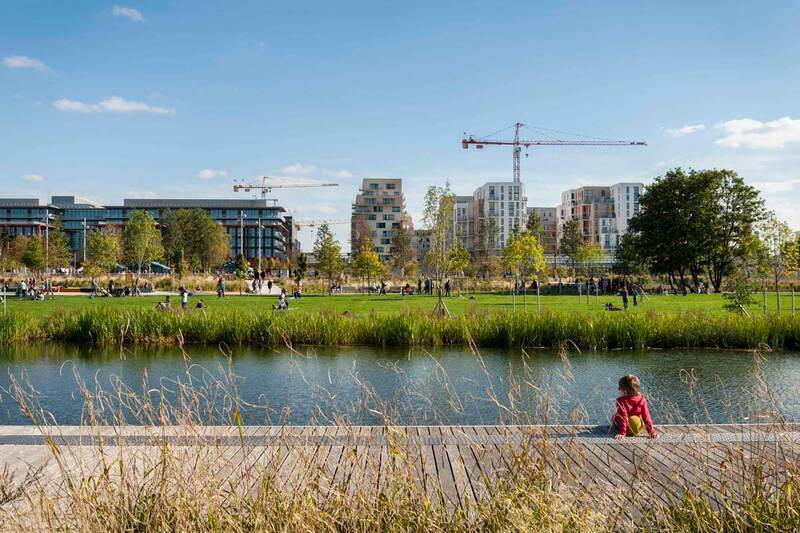 The Integrated Development Zone of the Docks is a large 100 ha area on the banks of the Seine, on the edge of Saint-Ouen’s historical centre at the gates of Paris. 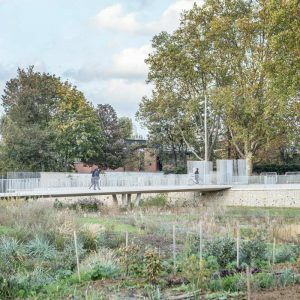 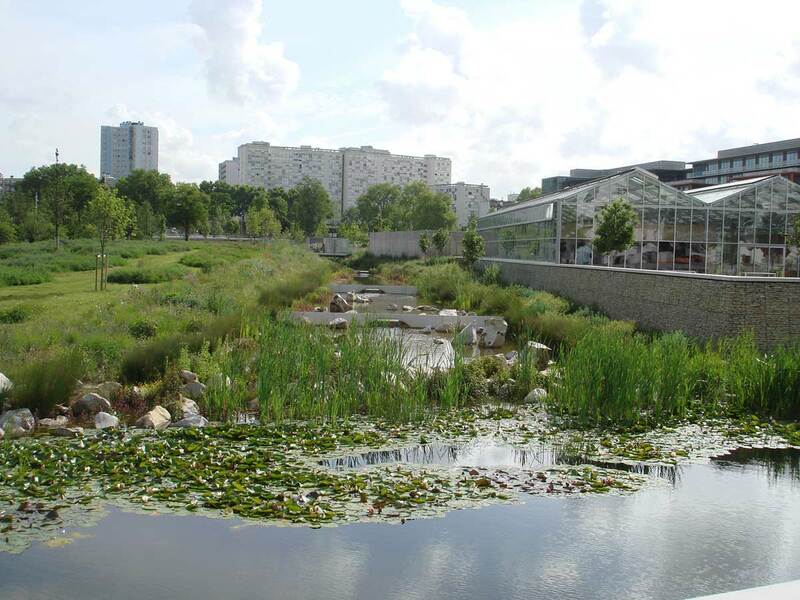 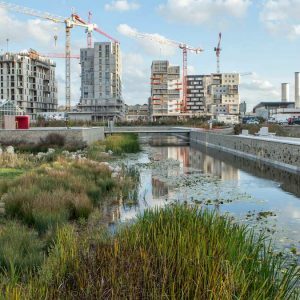 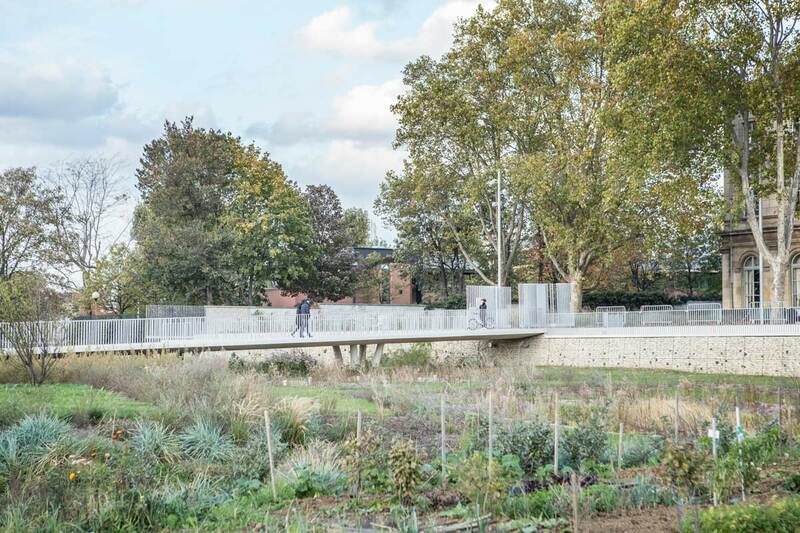 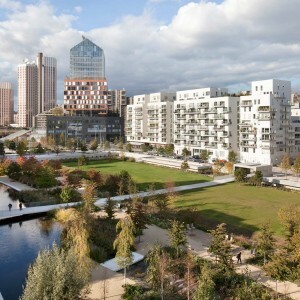 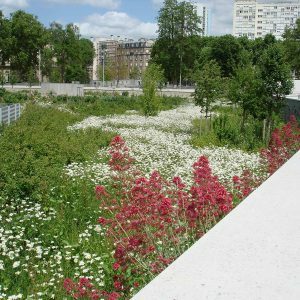 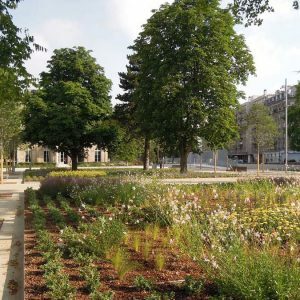 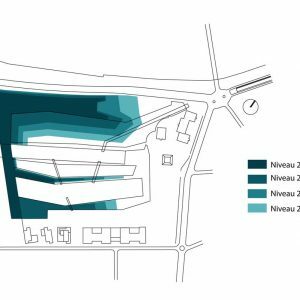 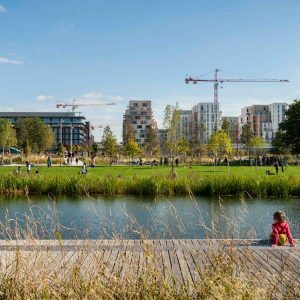 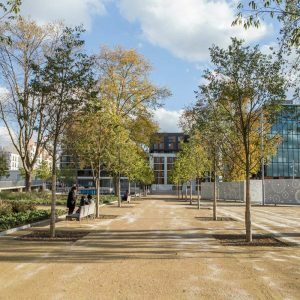 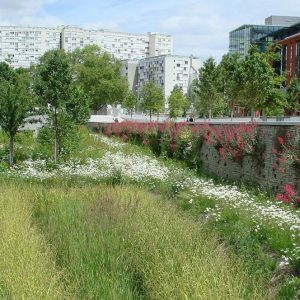 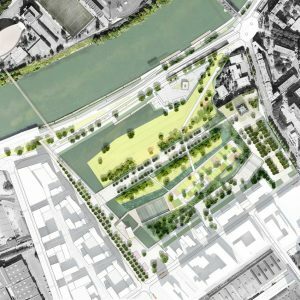 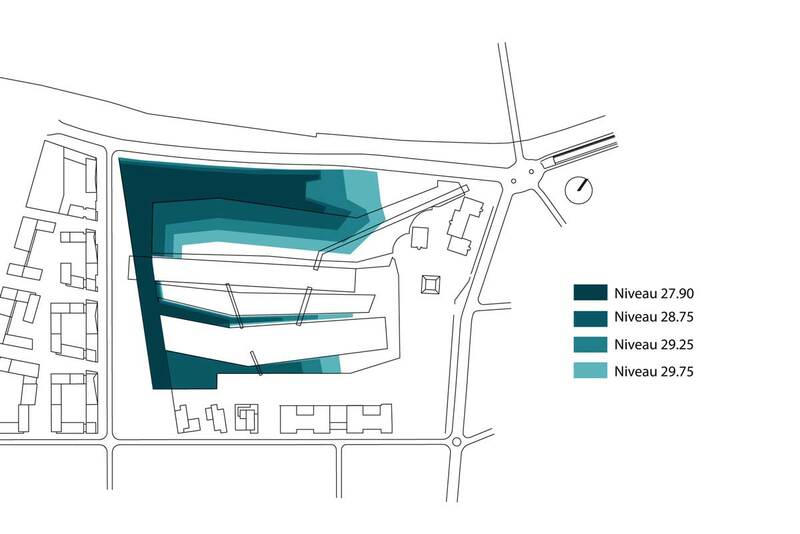 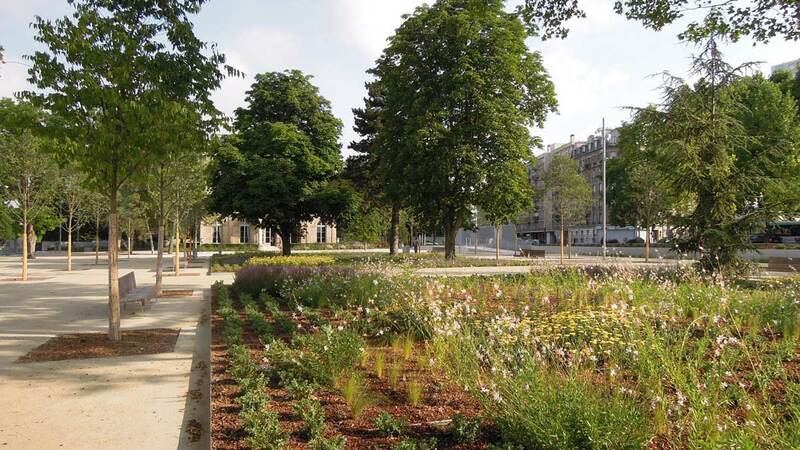 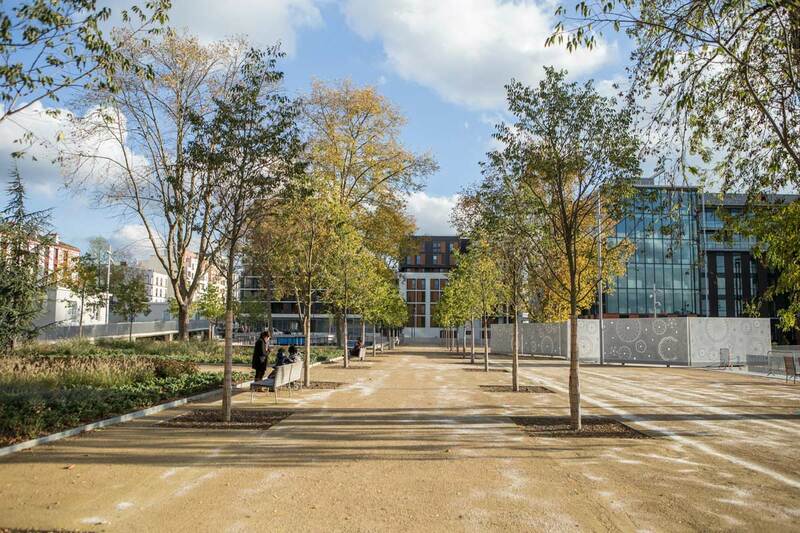 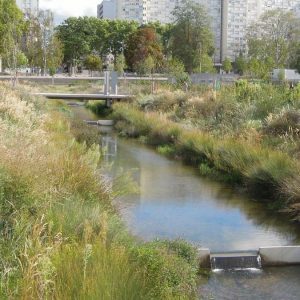 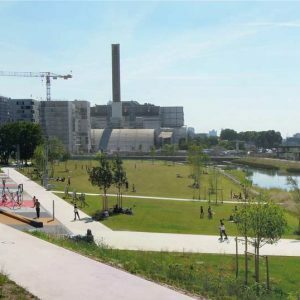 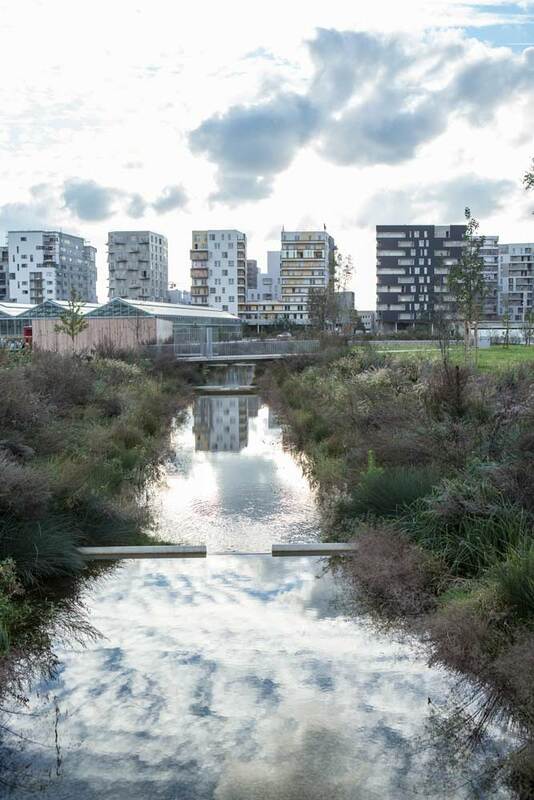 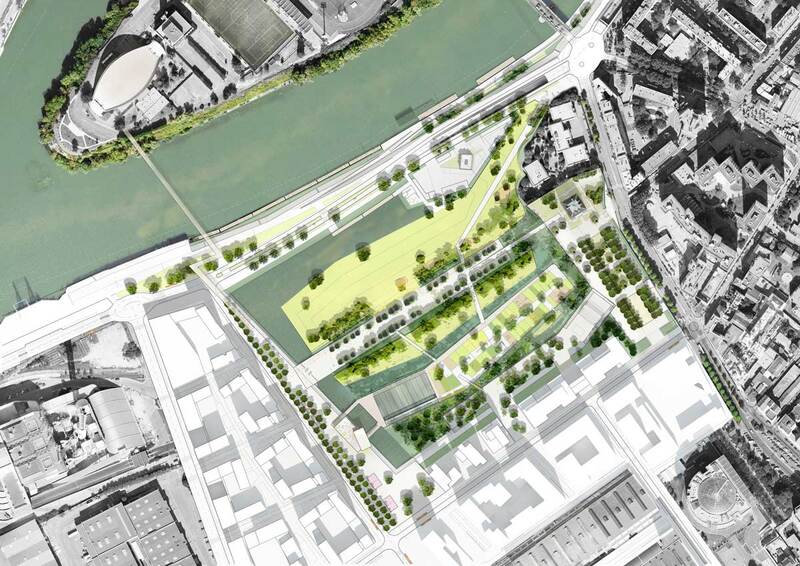 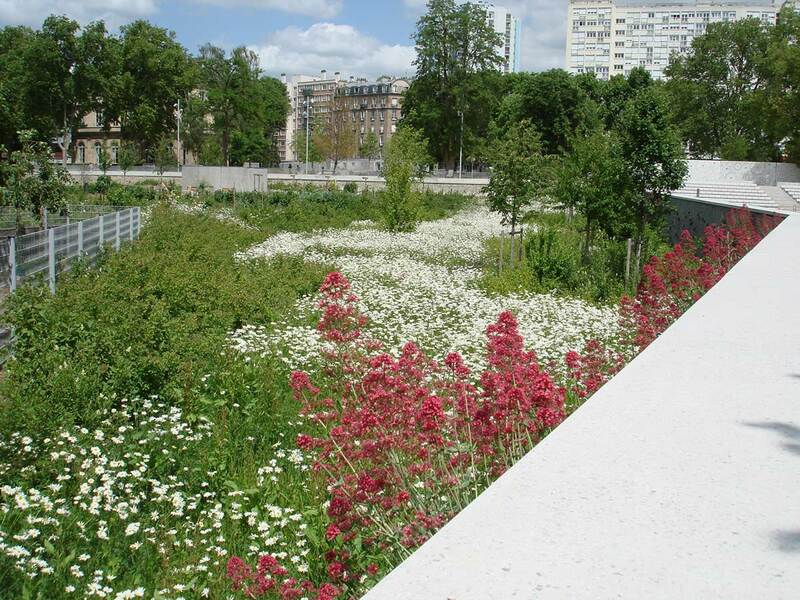 It is the transformation of an almost mono-functional, industrial territory into a new mixed development fully integrated in the existing town, with the 12 hectare Park of the Docks providing an extensive open space on the banks of the Seine. 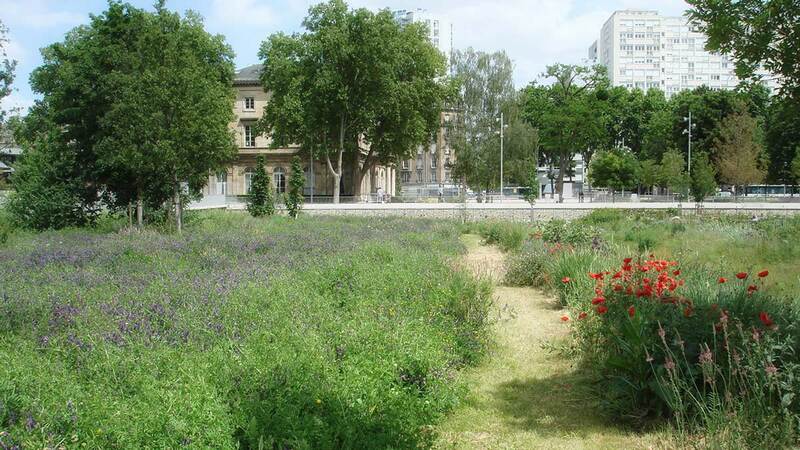 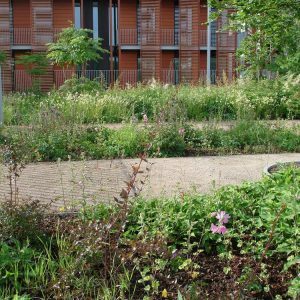 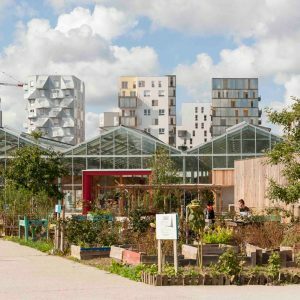 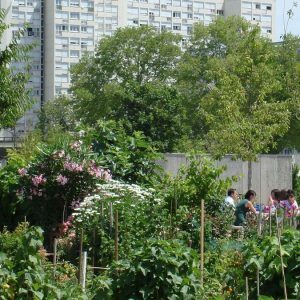 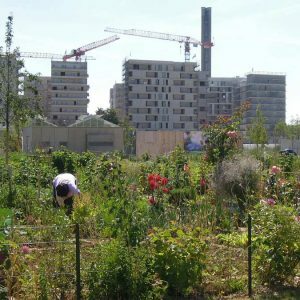 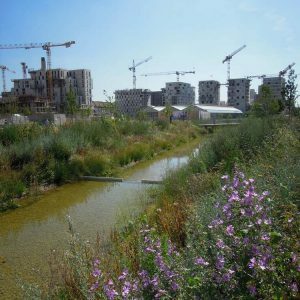 This functional mix is inscribing itself into a metropolitan and regional perspective with the strong ambition to develop an ecological neighbourhood. 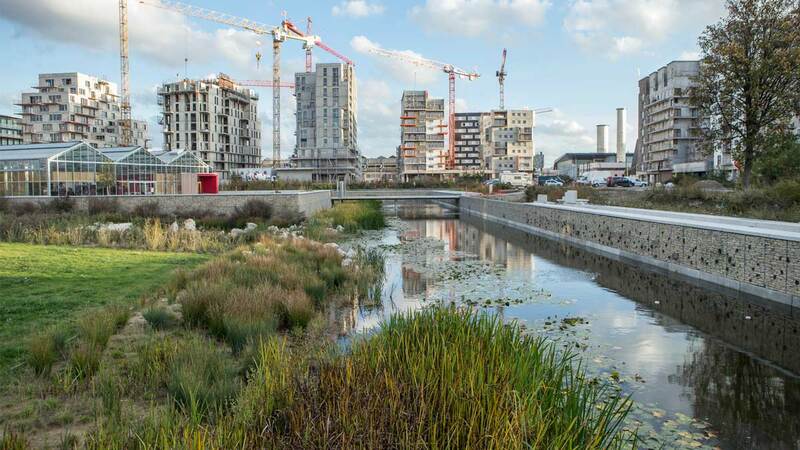 Saint-Ouen is a complex urban context to work in, as it is rapidly changing from its (mostly) industrial past. 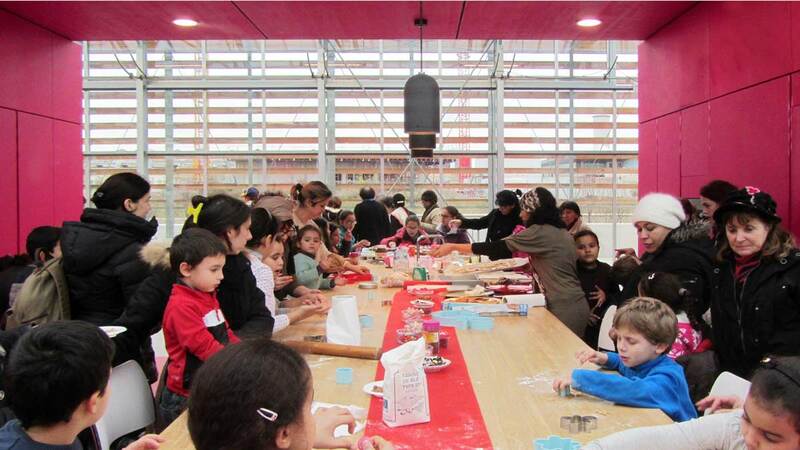 Social diversity is a great opportunity in the area and is something that is indirectly being addressed in the project. 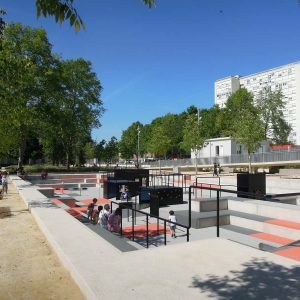 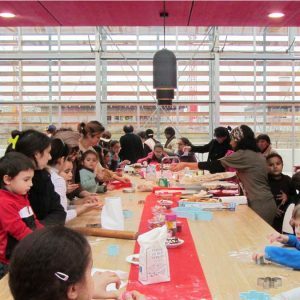 The ambition of Agence Ter has been to create an inclusive and democratic space, welcoming the public, residents and visitors alike. 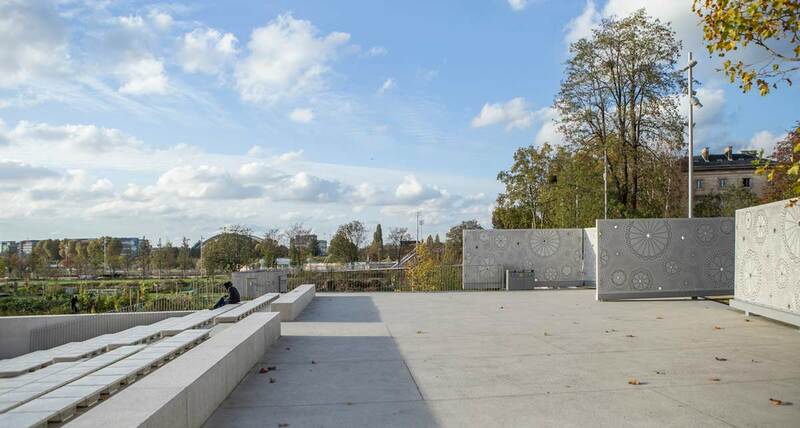 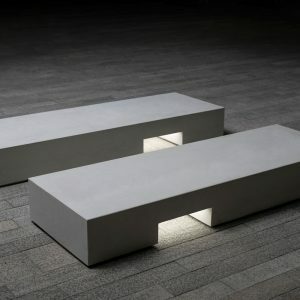 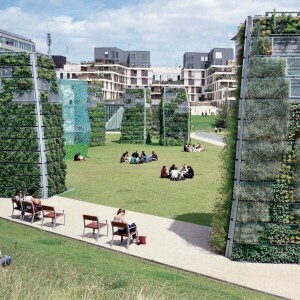 The specific location, on the banks of the Seine River, brings to life the imaginary, creates a specific horizon and links the park to the theme of water. 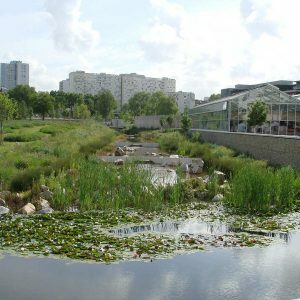 One of the main aspects of the park is how it collects and treats the rainwater, on just a few meters from the region’s largest watercourse. 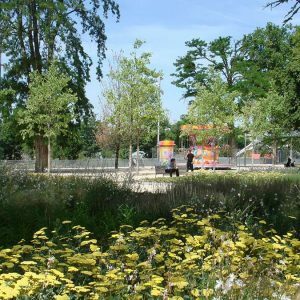 The park was imagined as alternating hollows and solids, which materialize two types of place: spaces for nature and gardens for the public. 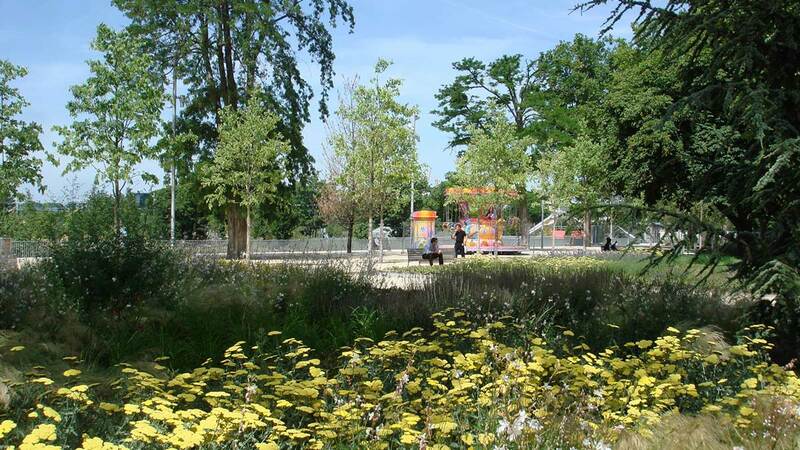 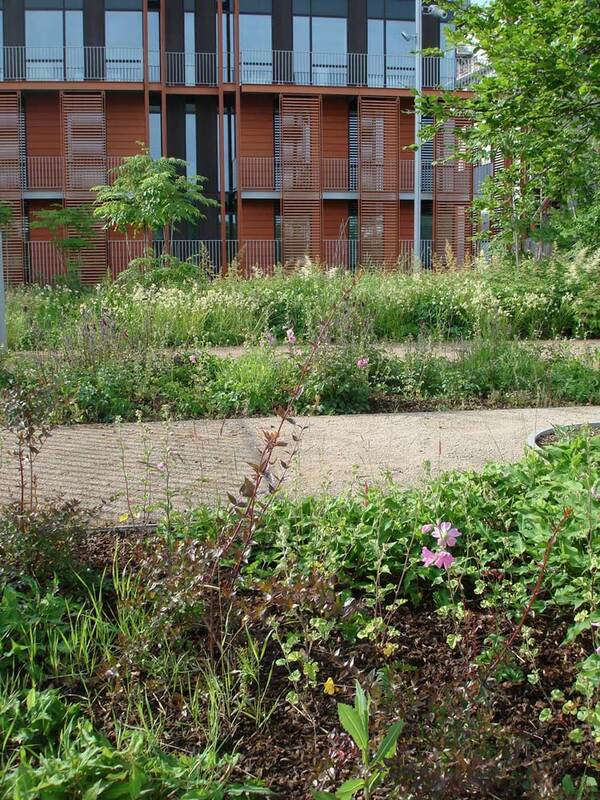 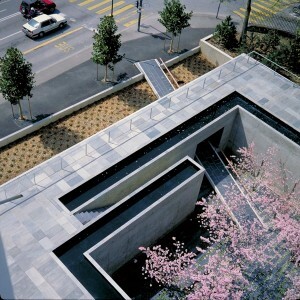 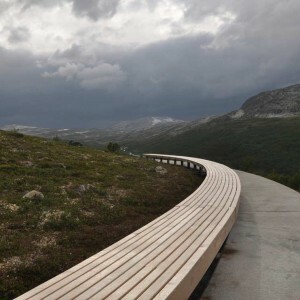 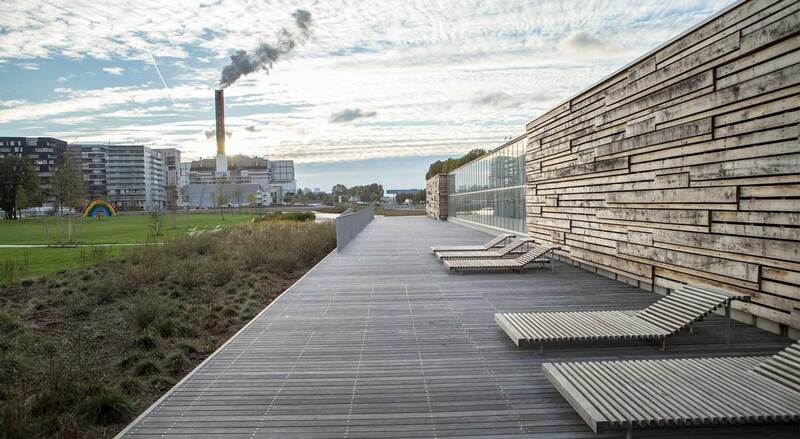 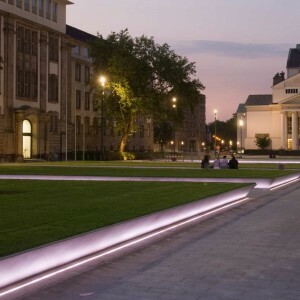 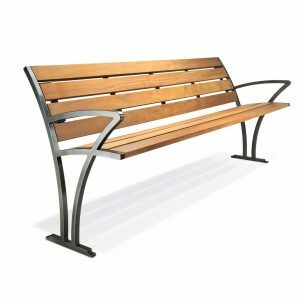 This interplay between accessible and visible nature structures the park and its uses. 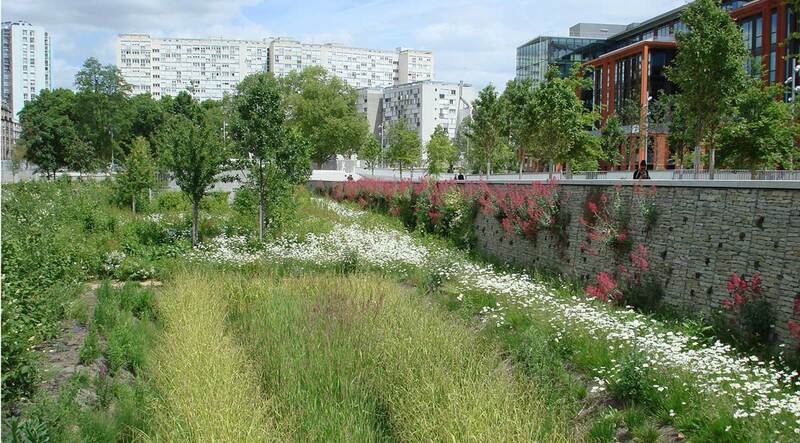 Nature is characterized by planted areas (meadows or ditches), while the latter can be filled with rain water. 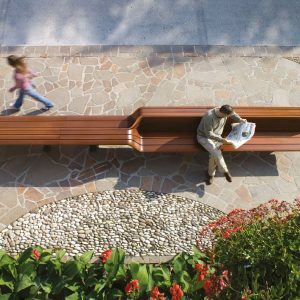 This is a park that offers different kinds of conviviality and experiences due to the generosity of its spaces and its multiple atmospheres: light/shade, quiet intimate spaces/busy active places, and wide open views/framed vistas. 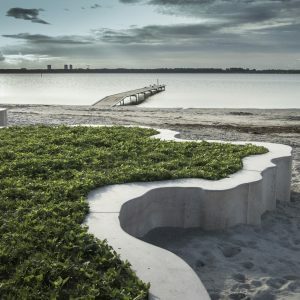 A sequence of compositions, orientations and views of the distant landscape, of the city or the park itself. 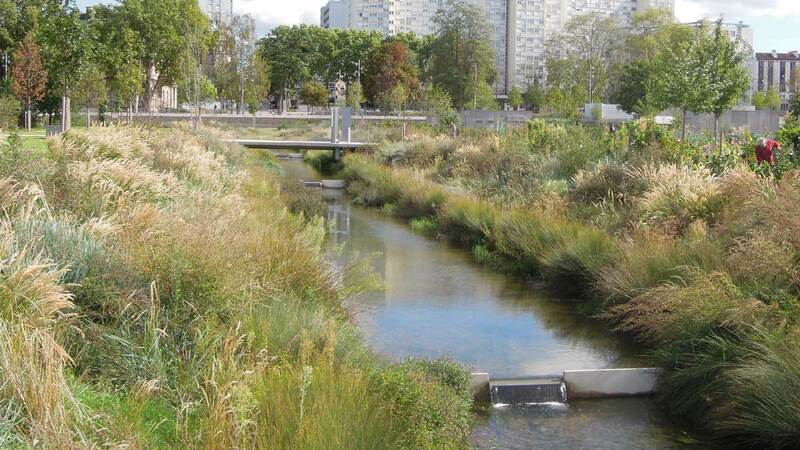 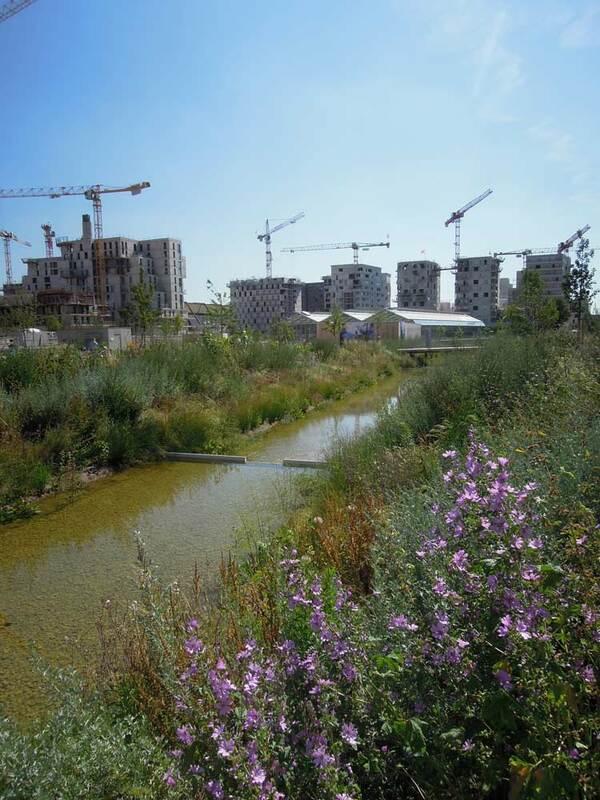 Valleys, ponds and large sunken surfaces gather rain water, highway run off and floodwater from the Seine. 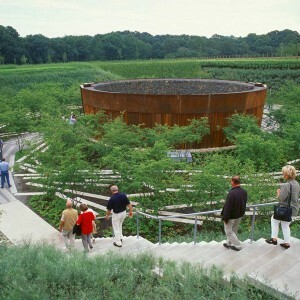 The park is a hydraulic system, a huge reservoir that filters water and uses it to irrigate the plantations. 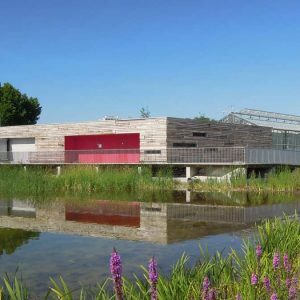 The ponds and filtering gardens welcome a wide range of fauna: tritons, dragonflies, frogs, birds and insects. 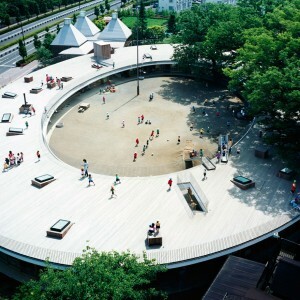 Diverse services and structures are located in the park. 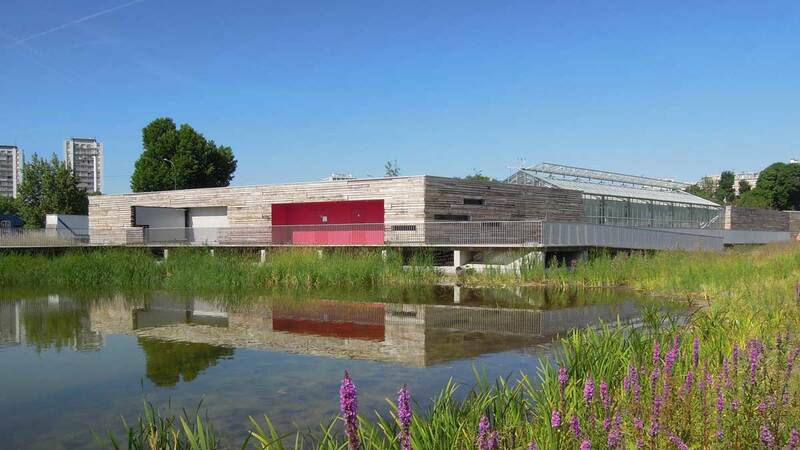 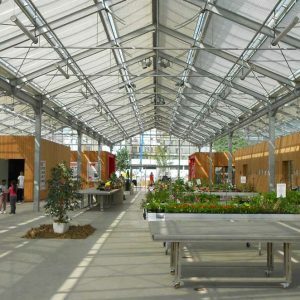 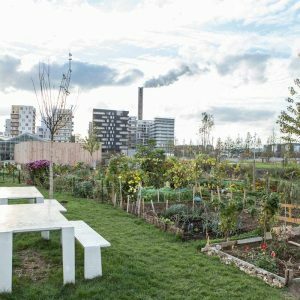 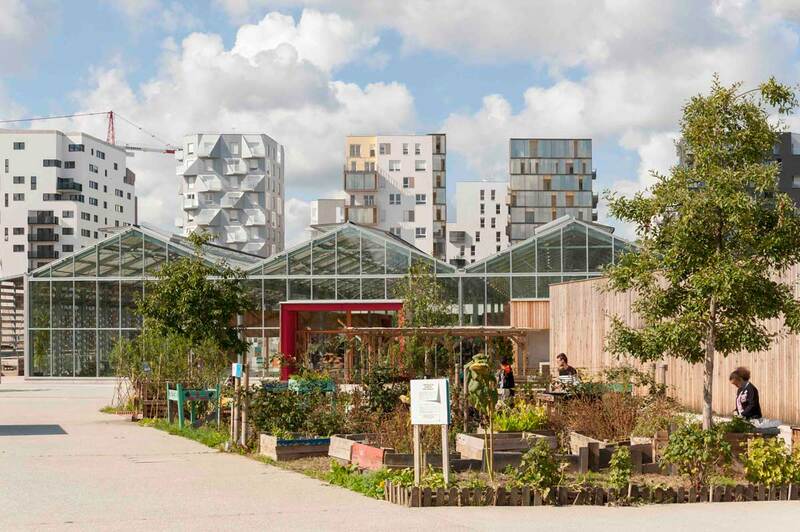 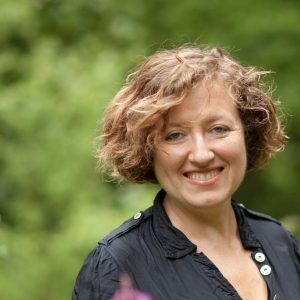 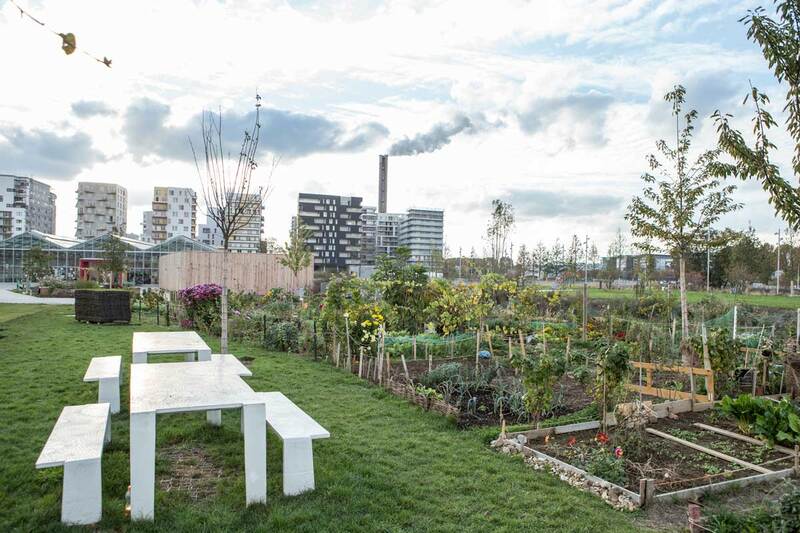 Firstly, the park has an educational greenhouse (1 400 m²), which is linked to the allotment gardens (5 000 m²) and which holds meeting spaces, a kitchen, a large experimentation and event space and gardening material. 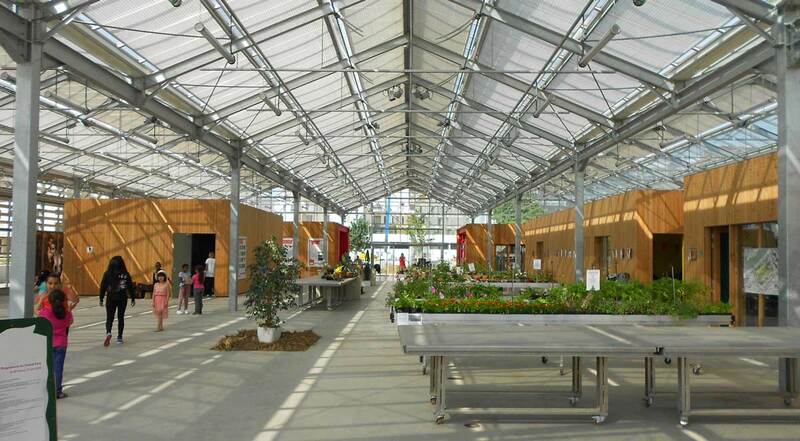 This greenhouse is reflected as a central point for the many associations in and around the park. 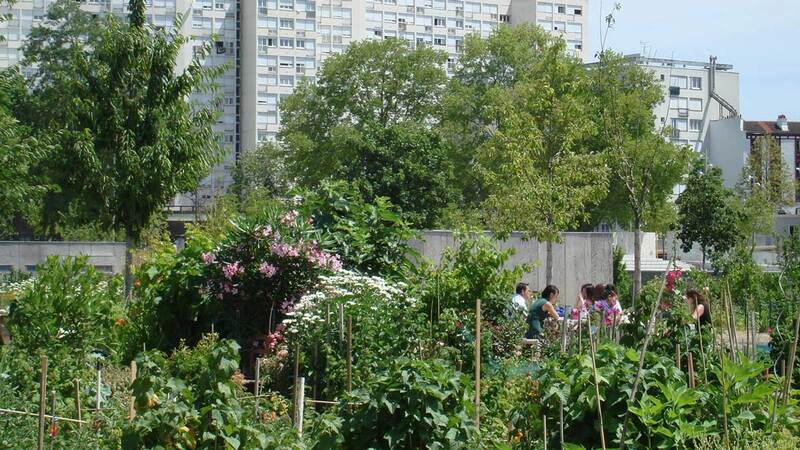 Throughout the allotment gardens, several gardener’s cabins are located as well as pick nick tables. 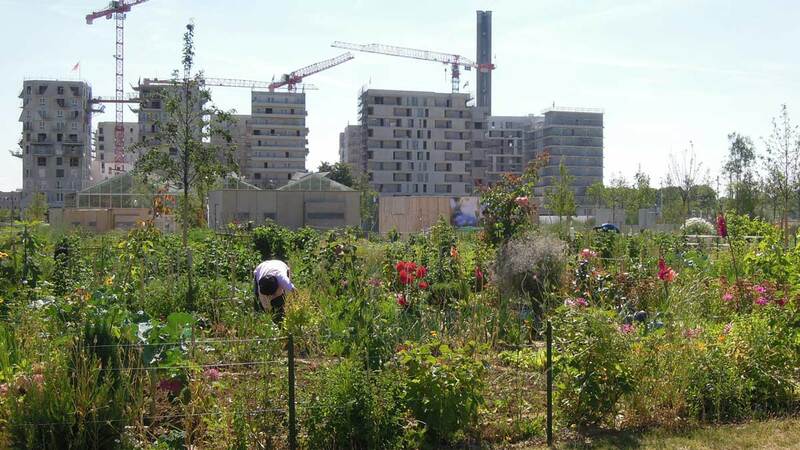 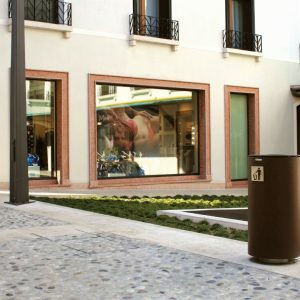 These associations have re-found their cultivation grounds that were already present on site before the design of the project, an element that was fundamental for the design team. 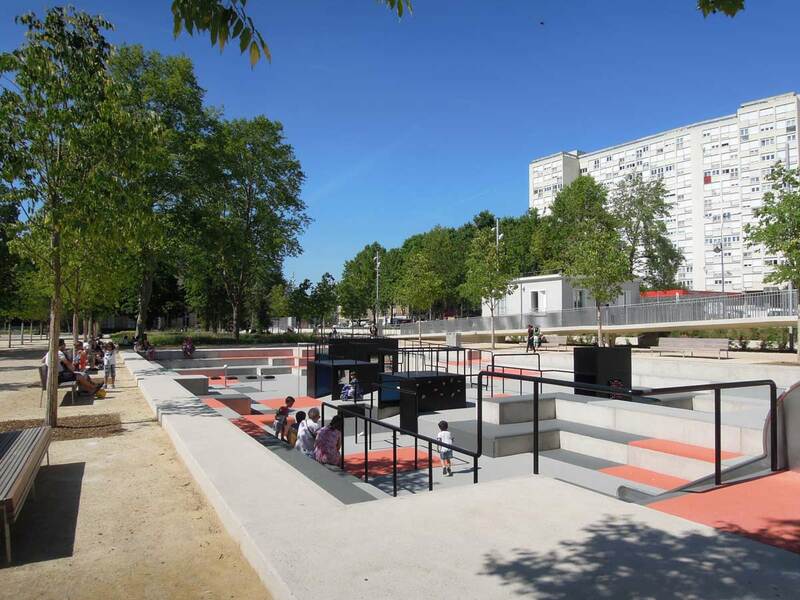 Secondly, a large skate park is situated at one edge of the park and is linked to an urban amphitheater that is multifunctional in use. 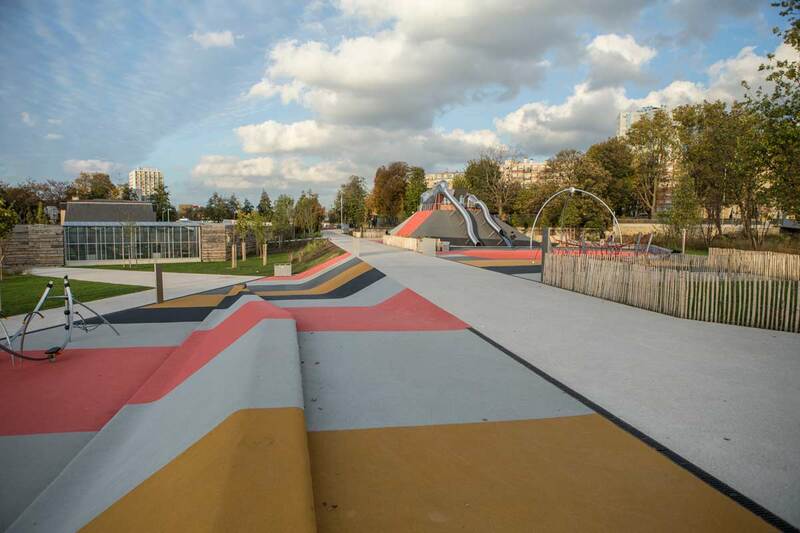 Lastly, three playground areas are located on different sides of the park and serve multiple age groups. 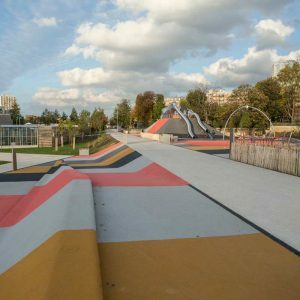 The playgrounds are designed specifically for this park and maximally make use of the topography and the context of the site. 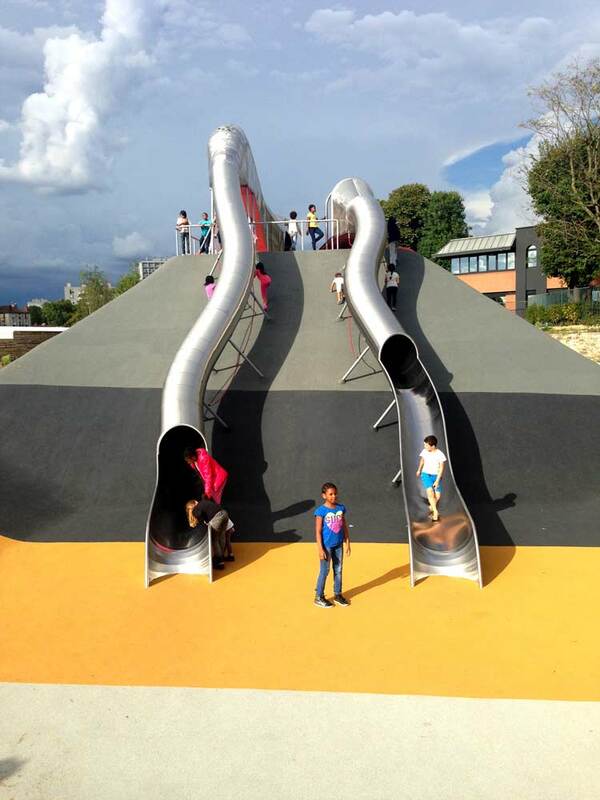 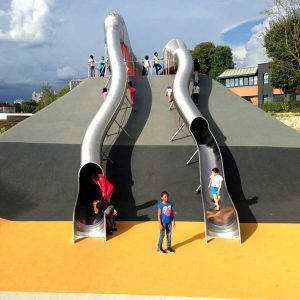 One of them is strongly linked to a large grass field (10 000 m²) that is used as an extension of this playground and which includes playful water elements. 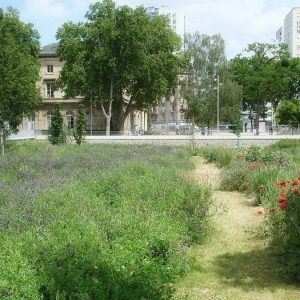 The park is linked to the historic tissue with a generous plateau that includes a historic building. 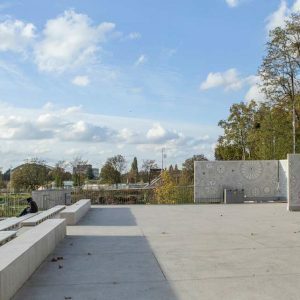 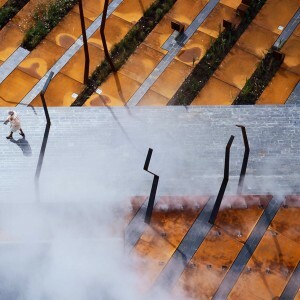 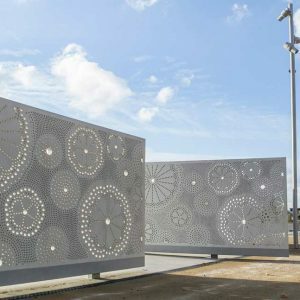 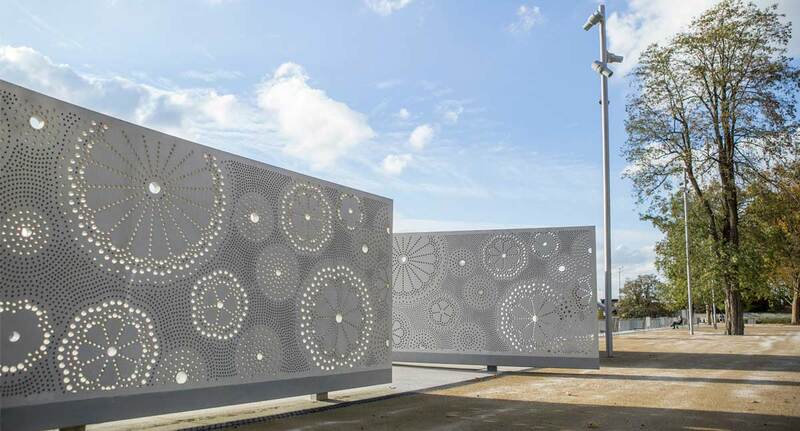 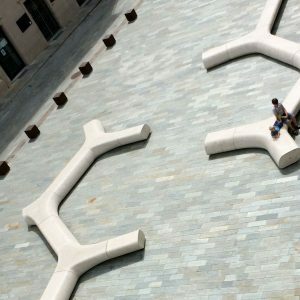 This parvis not only allows for an overview of the park, it interweaves the different scales of old and new tissue and it allows for an elegant entrance area of the park. 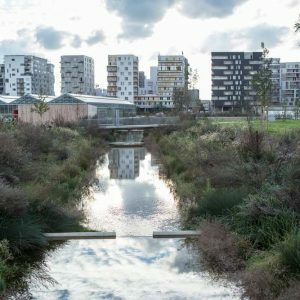 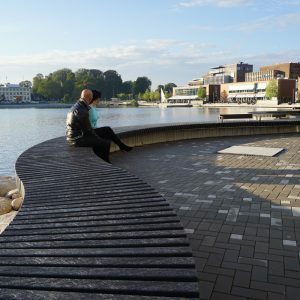 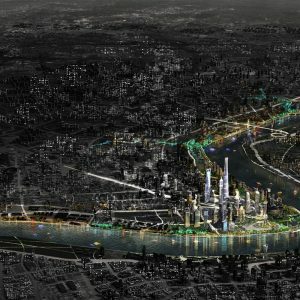 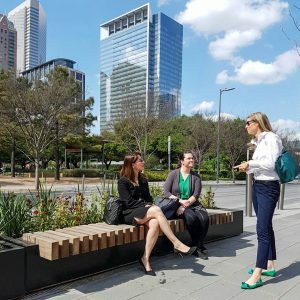 The Park of the Docks is showing how natural systems (like water cleaning and storage) and environments can be combined with an active and urban park that has the ambition to become a central point within the emerging neighbourhood and a destination in the minds of its inhabitants.